Recently, there have been a lot of media reports on Finland’s basic income trial, some stating that it is ending, that it failed, or something along those lines. The reality is much different. To get an understanding of what’s actually going on, and what caused all those news stories, Owen spoke with Aleksi Neuvonen, cofounder of Demos Helsinki. Jim: And I’m Jim Pugh. Many of you may have read headlines in recent weeks claiming that Finland’s basic income experiment had been canceled. Now, for those of you who took time to dig in a bit, you probably discovered that was not correct. The Finish experiment, in fact, is continuing as originally planned and the quote unquote cancellation actually referred to a proposed expansion of the experiment. Owen: So we thought it would be good to get into the details about what’s actually going on there. And find out, you know, if the experiment is not cancelled, what is happening. So, I got to speak with Aleksi Neuvonen. He’s the founder of Demos Helsinki and someone very close to the situation. And he gave a really good take on what’s going on there. Owen: So, to start, could you just remind our listeners what the original basic income program in Finland was and what its goals were. Aleksi: The basic income experiment in Finland is one of the twenty-seven policy experiments that the current coalition, government coalition in Finland is running. And they started their program in 2015. And basic income experiment is the biggest of all these politics experiments. I would say the reason why they decided to experiment basic income is that there has been, for 15 years practically, an intention to renew the Finnish welfare system, which different types of committees during each election term trying to come up with certain suggestions on how to modernize the welfare system, which is a rather big system, takes quite a big chunk of the budget in the Finnish government with no results for the past 15 years. And now, when Finland elected new government, or new Parliament, three years ago, there was an idea of changing the way they do policymaking. Then they introduced the idea of going towards experimentation culture. And as welfare reform was one of the key areas, they decided to try it with a new policy tool, which is an experiment which would last two years from the beginning of 2017 till the end of 2018. Owen: Okay. Yeah. So, in the last couple of weeks, as I said, there have been a lot of reports about some changes to the experiment, that it’s ending, that something’s different. Has anything about the experiment changed? Aleksi: No, actually, there has been no changes whatsoever. The current experiment comprises of two thousand people being selected to the experiment. Those people still get the basic income of 560 Euros per month. And that will run till end of this year. No analysis on the impact of the basic income or changes in the benefits that they receive have been done. And that was the intention from the beginning. They will start analyzing the results at the beginning of 2019. So nothing has changed in the experiment itself. And from the beginning, there was a plan to make it a two-year experiment with some speculation on whether they could extend it to last longer. Actually, the group that did the pre-study and design of the experiments suggested that, based on previous experiments, usually it takes from three and a half to four and a half years before you start getting positive well-being impact on the people participating in such an experiment, hence it should be longer, but no one promised it to be a longer. However, there were plenty of discussions on whether they could extend it but apparently now politicians especially have come into a conclusion that there are no means of extending the experiment from the current length. Owen: And so that’s what caused all the reports, is the decision to not extend it? Aleksi: Sure. So it has been done somewhat official, actually that happened already last fall around November when they put out a press release saying that now they are approaching the midpoint of the of the experiment, and it looks like it won’t be extended, which was not stated very clearly, but anyhow, rather implicitly stating that it won’t be extended. Owen: I see. And so, the basic income pilot was focused on the unemployment system. And, am I correct in thinking that there were some changes to Finland’s unemployment benefits system? Aleksi: Yes. I mean, the system of of unemployment benefits comprises of number of different types of benefits regarding on for how long have you been unemployed or what has been your previous work history like. So people currently receive some unemployment benefits that are proportional their previous wages for almost almost two years. And now there has been some changes for this, these benefits. So the idea is to incentivize people to be more active in taking job, while they still enjoy this much, much larger benefit than the basic income is. So they are conditionalizing those benefits by requiring people to send a certain amount of job applications or participating in different types of trainings during that period of time, which is, I would say ideologically somewhat quite opposite to what we’ve been thinking of basic income to be. So it’s more about motivating people to seek for jobs, especially that they would get immediately quite soon, instead of, with the basic income, to pursue some other paths in their career. Owen: I’m wondering what your reactions and maybe the public reactions as well have been to to these reforms? 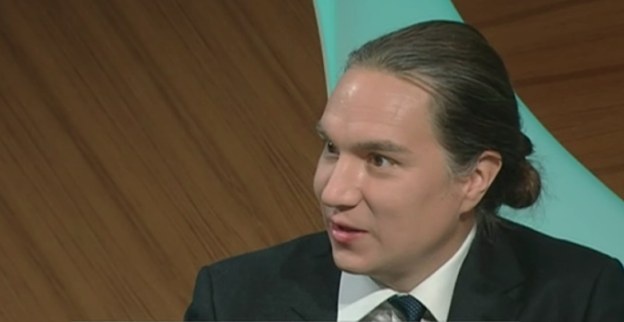 Aleksi: The public reaction to these these reforms has been somewhat infuriated, I mean, there’s been big, big demonstration against the initiatives, for good reasons, I would say. It was prepared in a really fast pace. There are several contradictions, which would make it very difficult to be implemented point-by-point. So there are… and it’s somewhat contradictory also to some other parts of legislation. And, of course, there are quite different types of situations where it doesn’t necessarily work that nicely. And probably, one of the underlining questions there is whether that should make people to move from from one town to another if they wish to get employed, which in Finland is a rather new thing. We’ve had an idea of providing employment in all part of the country. And now with this new piece of legislation it would require people to commute longer distances or go from their hometown to seek job. Owen: I see. And are there other problematic aspects of the new reforms that are causing a lot of uproar? Aleksi: Yeah, I would say it’s over, of course, quite opposite to what people think of their what contemporary world should look like in how detailed some type of supervision there is on what you do when you are unemployed. And, I mean, really encouraging people to get jobs really fast instead of, I mean, look for some other some other opportunities in life. And I mean, there are different types of people, I mean, reacting to this in a really, really negative manner. There are plenty of very highly educated people who think that once they’ve received good high quality education, they should be allowed to search for a job that somehow would meet their skills. And then there are less educated people who feel that they are now already having quite difficult situation in their life. And now their benefits are getting even narrower becasue they always are at threat of meeting the sanctions. Owen: Right. One thing we talk about sometimes in the US is that, you know, we have people who are on many different benefit systems, and it almost becomes a part-time job just to stay on those benefits. Aleksi: Yeah, there is pretty good scientific evidence on that happening, that people who really fall on benefits, they, I mean, first of course realize that they have to spend quite a lot of time sorting out these different forms and so on. And also, then feel that they are being disempowered because they are in a constant threat of losing those benefits. And actually, that was one of the founding ideas of the basic income experiment that, would it help those people to become employed if they wouldn’t be stressed out because those burdens of constantly feeling the problems or being kind of, having these conditional benefits that require quite a lot of time applying them and waiting the benefits to be paid. Owen: And getting back to the basic income experiment. While, I know it’s not completed and the official analysis is not been conducted yet, do we have any data or any stories even from the experiment so far? Aleksi: There is no official data. It is actually based on the Finnish law that the officials cannot cannot give out any data on people because it’s all based on the official unemployment benefits system, and you cannot give out any kind of details on that. And also that the one of the founding principles of the experiment was that it should be kept as a closed laboratory for the period of an experiment. In some of the previous experiments in the 70s, some of them were failing because there was so much things intervening. People were interviewed quite constantly and getting other people contacting them constantly, so that somewhat hampered the experiment itself. There has been some stories on a couple of people who are participating in the experiment. So some journalists have searched for people. And at least these stories have been rather promising. So people who’ve been, I would say, rather prototypical people who have certain level of education, not necessarily in a field which would provide very secure or a long-lasting job opportunities, but is somewhere between freelancing and entrepreneurship and occasionally some opportunities of getting employed for long periods of time. For instance, a person works having a training in as a professional dancer. And it has implied that the experiment seems to be offering her better opportunities for getting certain level of income where she is not in a threat of falling between different types of benefits, or she can do some freelancing and even have a private company while receiving the basic income as a benefit. Owen: Yeah, for freelancers, I think the benefits are pretty obvious. From your estimation, do you think basic income is more popular in Finland now than than it was when the experiment started? Aleksi: Probably. I assume that at least the overall understanding and knowledge on basic income is much, much better. There has been so many articles on that in the newspapers, of course. Overall, things seem to be rather positive on basic income, of course, depending on how lucrative the basic income would be. So what level of benefit it would be finally when introduced. Quite a few people are, would allow people to have, let’s say, 800 or 900 euros basic income are rather okay for having that 600-700 still per month. But there hasn’t been any kind of a survey on that over the past half a year, which would have been the probably a good time of polling that. And I’m really interested in hearing what the levels that they will be at the end of 2019 when people are being exposed to so much information on basic income for the past couple of years. At the same time, political debate around basic income as a possible solution after the next elections hasn’t been that, the level of that discussion hasn’t been that high, which is somewhat surprising I would say. Owen: Yeah, that is surprising. Well, those are the questions that I had for you. I’m wondering if there’s anything else you would like to add? Aleksi: I would say that… Two things: the first is that the basic income experiment in Finland wasn’t initiated because any of the political groups in coalition had any ideological stance for basic income. It was more merely thought to be one way of advancing some type of social security reform in the coming years. So, I’m quite sure there will be some reforms, some discussion on some type of reform, which, in a way or another, will resemble basic income over the next few years in Finland. It will be discussed after the next parlimentary elections which take place April next year. It might resemble more, for instance, negative income tax or universal credit, which is now being tested in the UK. But there will be something which will continue the idea of reforming social security system to meet the needs of our age better. Owen: So the idea is far from dead in your country. It sounds like it’s alive and well. Aleksi: It is alive and well. And at the same time, there are no technical reasons why the experiment wouldn’t be relaunched after the elections and after the new coallition has been formed next year. So there’s, according to my understanding, a full technical capacity to restart it, let’s say, at the beginning of 2012 with a bigger and more diverse amount of people. And then in Finland, we would have also a dynamic online income register in place, which would make it easier to combine those benefits with taxation. So then they could also test different taxation levels combined with the basic income. Some experts say that with the current experiment, one of challenges is that we cannot be assured which thing are we actually testing? Whether the freedom from all the types of bureaucracy, of applying for welfare, really incentivize people to seek job better or whether it’s just the mere free benefit that they receive, which is tax-free, that incentivizes system. So they’re actually two things which both have some type of effect on these people. And we don’t know, which are we testing right now? And when we could combine it with taxation, it doesn’t have to be then a tax-free benefit, which would then be, lets say, a more realistic way of implementing it as a permanent solution. Owen: I see. So, you can start to move towards something where it could be, you know, something that’s a stable part of the government going forward. Aleksi: So it would be much, much more a realistic real-life experiment than what it is now as a rather robust robust solution. Jim: That was Aleksi Neuvonen, founder of Demos Helsinki, on the Basic Income Podcast. Owen: So what struck me other than just that, how wrong the media has been about this, because you know you… I’ve had so many people come up to me and say. “I heard the Finland thing didn’t work out”, and it’s just not true. But moving beyond that, what struck me is just how this is an incremental fight on so many different levels both in term in current benefits like the unemployment system in Finland, the fight they’re having their now, and also the SNAP system here. Jim: Yeah. Policy is complicated. To actually set up anything, not just logistically in applying the policy, but actually to make sure that you’re aligned with all the different organizations and key stakeholders, that just takes a lot of work, and that’s pretty much always true. And so it doesn’t really matter even if you have a super simple policy of handing out cash, that’s still gonna have a lot of complicated steps in the process to make it happen. Owen: Right. And it is encouraging, you know, even if it does make the whole thing take longer, that there is a real desire to do it right, and to have these sorts of experiments. And also, I was encouraged by the fact that there was a big public outcry to the, you know, the changes in the unemployment system and to the fact that they’re maybe not continuing the basic income pilot. Usually changes to the social benefits system, they can kind of pass mostly unnoticed. Jim: Yeah. It’ll be really interesting to see how things progress there, particularly when we get to 2019 and can actually see the results. Will that actually change the conversation? Will the government there suddenly become more amenable to the idea of expanding and continuing on with that trial in order to to see how it might apply to different groups and over the longer term? So I’ll be curious to see what ends up happening with that. I also think that this really points to how important it is and will be to frame conversation around experiments, because as we said, a lot of these details, there’s so much complexity there. And that’s going to be true of results as well. When we actually start seeing that quantitative data coming out, depending on how you look at it, it can it can say many different things. There’s the old quote “Lies, damn lies, and statistics,” and I think that can certainly apply here. And so I think that not only thinking about how do we talk about the experiments leading into it? And then how does that translate into our interpretations of the results coming out of it? Owen: Yeah. It’s going to be fascinating, and I think this episode really shows that, how just the initial round of journalism was, a lot of it was just inaccurate. And so yeah, there’s gonna be a lot of, you know, diligent work to be done to find out what actually is going on in these experiments. Jim: Well, that’ll do it for this episode. Thank you for listening. Thank you to our producer, Erick Davidson. If you like what you hear, please do rate and review us on Apple Podcast or the podcast service of your choice. And please do share with your friends. We’re always looking for more listeners. We’ll talk to you next time. This entry was posted in and tagged basic income, basic income news, basic income podcast, finland, finland basic income, ubi finland, ubi podcast on May 16, 2018 by owenpoindexter@gmail.com.